This past July 21, Pastor Joel Osteen co-hosted a concert on Stafford Field with Sway Calloway two days before hosting America’s Night of Hope at Comerica Park. 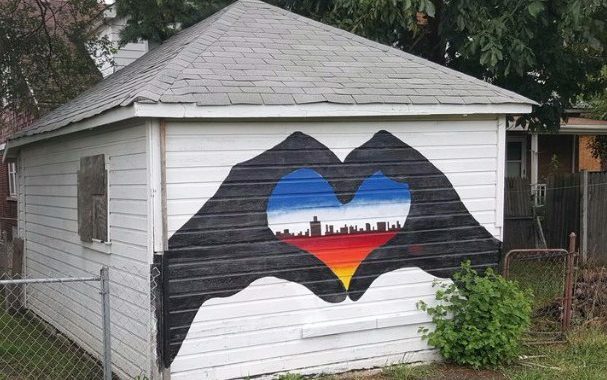 He helped galvanize an amazing summer for the young people of Detroit at our center. 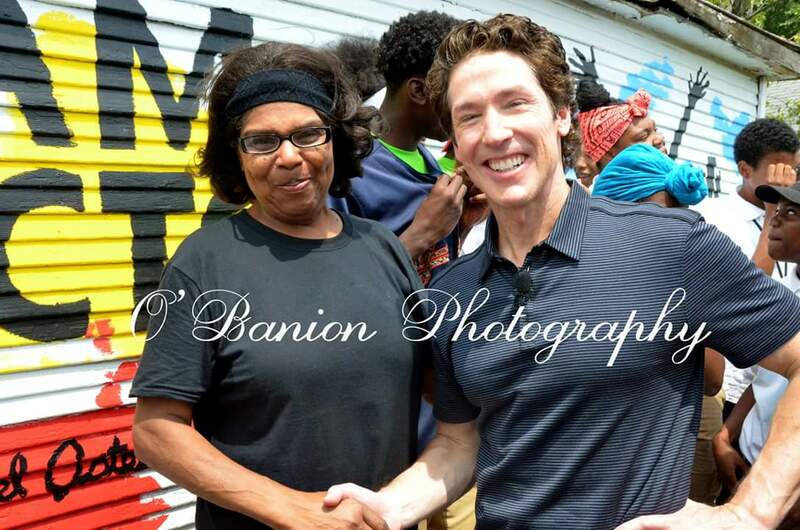 Pastor Joel Osteen with Karen Washington, a long-time neighborhood leader who led an effort to transform a blighted alleyway into “Bliss Lane” with local artists, the young people at our center, and volunteers from Lakewood Church in Texas. More than 30 teenagers worked as sports camp counselors or mowed the lawns of vacant homes surrounding us, in addition to taking college trips to Eastern, MSU, U of M, and Wayne State. Younger children had a “summer of success” with week-long camps exploring interests in activities like Lego Robotics and photography, in addition to taking field trips to places Red Oaks Water Park and the Detroit Zoo. Our members start back to school next week, and we need more people who want to help them become great readers and great people. Our primary need is for Reading Mentors–volunteers who can dedicate at least one hour each week helping a young person become a great reader, but we also need coaches in basketball, football, baseball, soccer and even lacrosse over the next year. We are looking for people who love kids and have a calling on their heart to help them. If you have that, we can help you acquire the skills you need to be a successful coach or volunteer. If you are interested in helping, please sign up on our website or email me at mtenbusch@sayplay.org. Thank you so much for your consideration. A life-changing difference awaits.